Three months after the acquisition of Religare Health Trust (RHT), Fortis Healthcare Ltd is reportedly planning to sell its stake in the Singapore-listed firm, a media report said. Fortis holds 27.82 percent stake in RHT, comprising 25.14 percent held by Fortis Healthcare International Ltd (FHIL) and 2.68 percent held by the trustee-manager, a unit of Stellant. "RHT Health Trust Manager Pte. Ltd. (in its capacity as trustee-manager of RHT Health Trust (RHT)) (the Trustee-Manager) wishes to inform unitholders of RHT (Unitholders) that it has been notified by Fortis Healthcare International Limited (FHIL), a controlling unitholder of RHT, and Stellant Capital Advisory Services Private Limited (Stellant), the sole shareholder of the Trustee-Manager, that they have each commenced discussions with various parties to explore the possibility of sale of their interests in RHT and the Trustee-Manager, respectively," FHIL said in a regulatory filing on Monday. The stake sale will help Fortis Healthcare to raise funds to fulfil its needs, Mint reported. 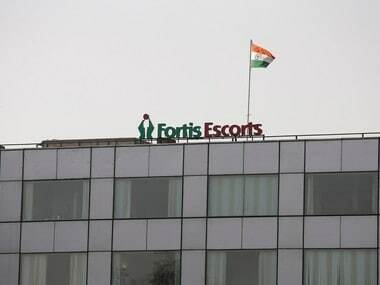 The money raised through the sale is likely to be ploughed back into the Fortis business in India, Business Standard said. In January this year, Fortis Healthcare completed the acquisition of RHT Health Trust (RHT) assets. In February 2018, Fortis had announced that it had entered into definitive agreements with RHT to acquire the entire portfolio of assets of the Singapore-listed entity for an enterprise value of Rs 4,650 crore. 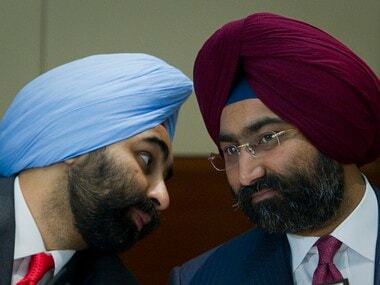 RHT is promoted by brothers — Malvinder Singh and Shivinder Singh — who resigned from the board of Fortis Healthcare in 2018. The step was a part of a restructuring initiative aimed at consolidating the entire Indian asset portfolio comprising various clinical establishments and two operating hospitals of RHT Health Trust into Fortis. The assets include 12 clinical establishments, four greenfield establishment and two operating hospitals.